Super Saver: Will Rafa’s return give Newcastle a spark? I just can’t get enough of this crazy Premier League season. Who would have thought it would be between Leicester and Spurs for the title at the beginning of the season? And while these two battle it out for what will probably be eternal bragging rights, there is a great scrap at the bottom table between those looking to avoid relegation. It is our friends just over the border in Newcastle who have the most to be worried about. Not only did they sack their manager, but they are languishing in the bottom three while their biggest rivals Sunderland look down on them – though our shots on target table below suggests it should be the other way round! The Magpies should really be sitting pretty in 12th, nine points clear of the drop zone. However, the shambolic performances of their goalkeepers and defence means they are looking certain for the drop. By bringing in the much maligned and sometimes celebrated, depending which team you support, Rafael Benitez, the Geordies will be hoping he fixes the leaky defence. 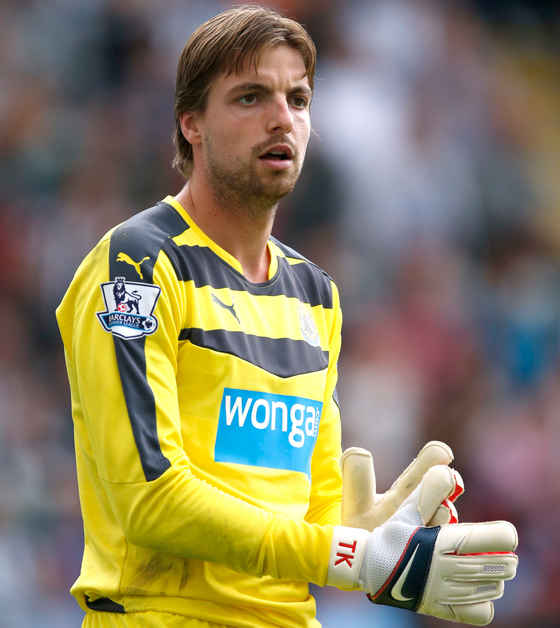 Forget goalkeepers Tim Krul (pictured) and Rob Elliot being their super savers this season, they need Rafa to take on that role. And soon!